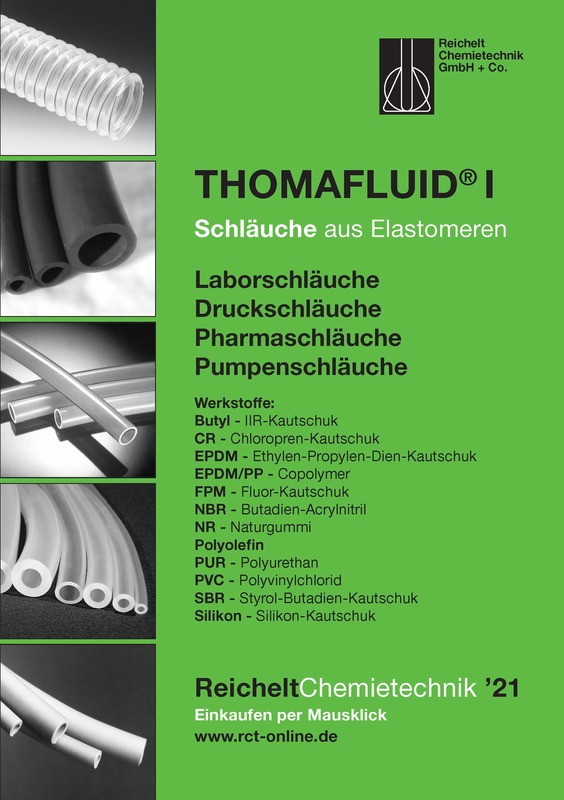 Under the brand name THOMAFLUID®, Reichelt Chemietechnik presents its product line Tubing Technology to solving various problems in laboratory technology, chemical engineering, pharmaceutical and process technology. It includes high-quality products meeting the high demands of our customers. Particular mention deserve our products conforming to the regulations of FDA, BfR, USP and European Pharmacopoeia. 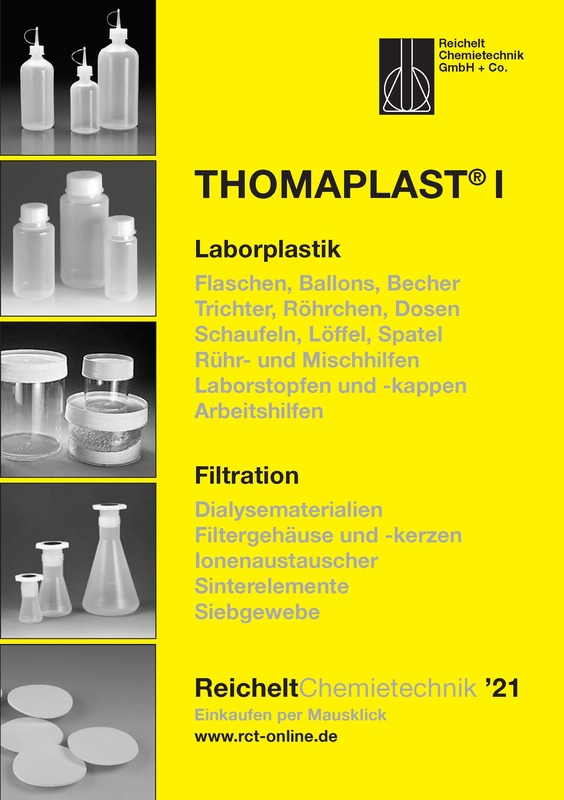 Reichelt Chemietechnik is specialized in the area of plastics and elastomers. Its wide-ranging program comprises common materials such as PTFE, PFA, FEP, PA, PE as well as products made of the high-tech materials MFA, PEEK and PI. In the area of elastomers, we cover completely the standard materials, and can also offer several modified versions such as the EPDM/PP as hose and sheet material for the high demands of our customers. Our product range contains standard materials such as CR, NBR, EPDM, PVC, PUR, IIR particularly suitable for technical use, as well as heavy-duty materials made of FPM, silicone and TPE. Today, our basic range covers 70,000 products, and 13 differently-coloured catalogues are now printed in ten different languages. 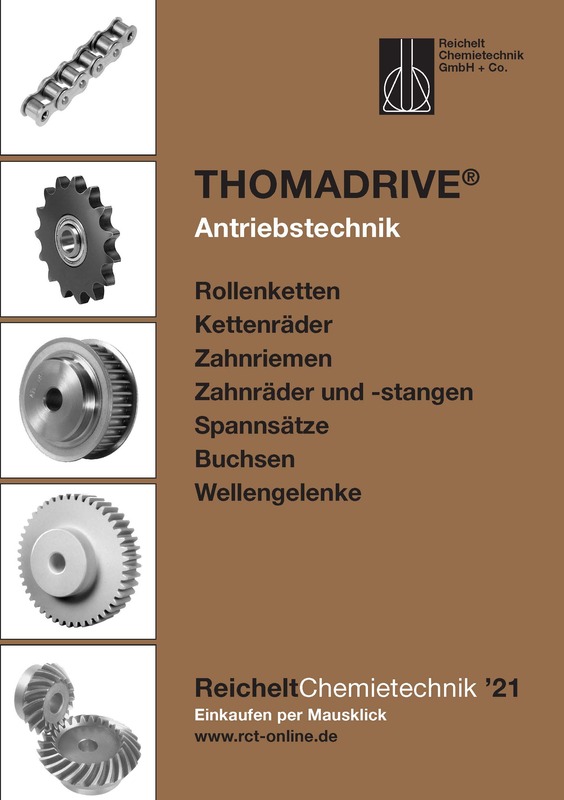 Of this complete range, we maintain a permanent stock of the commonest sizes in our Heidelberg warehouse. The products are sold exclusively under our own branding, and RCT has large parts of the entire range manufactured specially for the company, such as various pump systems. Examples of the extremely wide range of products are employed in virtually every sector of industry. The spectrum extends from hoses and fluids technology through elastomers and semi-finished products to plastics and bonding technology. Even the requirements of laboratories and filtration technology are comprehensively covered by products from the Reichelt range.